The CSB Pocket Gift Bible slips nicely into a coat pocket, briefcase, or purse and is a perfect gift for someone on the go who wants to keep the Word of God on hand at work or when traveling. Features include: Presentation page, Words of Christ in red, Topical Subheadings, Concordance, and more. 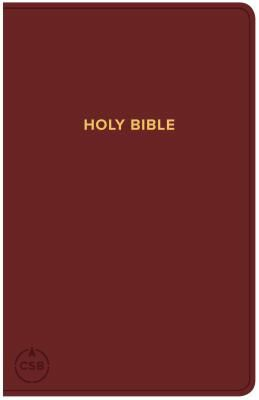 The CSB Pocket Gift Bible features the highly readable, highly reliable text of the Christian Standard Bible (CSB). The CSB stays as literal as possible to the Bible’s original meaning without sacrificing clarity, making it easier to engage with Scripture’s life-transforming message and to share it with others.